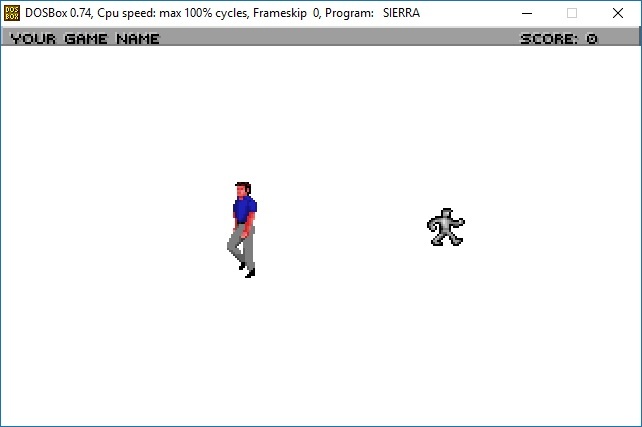 Alright, here it is, the very first chapter to get you started in creating your very own Sierra styled adventure game using the same game engine that Sierra used. 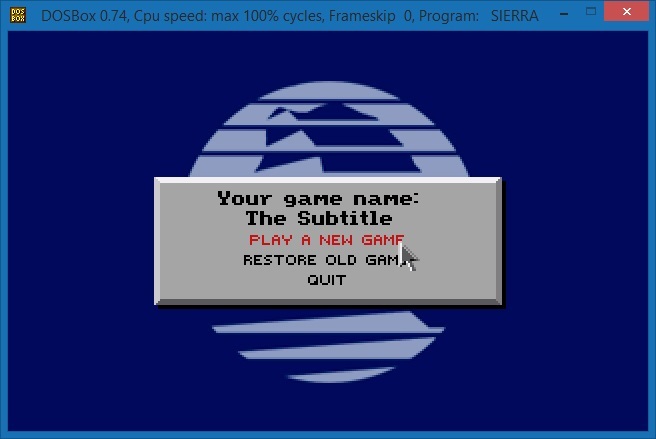 I could write a lengthy essay on the advancement of Sierra's game engine throughout there years of adventure game development, but I'm not. I am going to assume that if you are here and your reading this tutorial in the hopes of making an adventure game then you already know as much as you need to about AGI and SCI. I will however provide you with a short list of games that were made using the SCI1.1 engine just so you have a clear idea of the type of game you are able to create as found on wikipedia. Alright, enough of that. Let's get started. The first step, you will need to open up sciCompanion, click file, and select Create a new game. 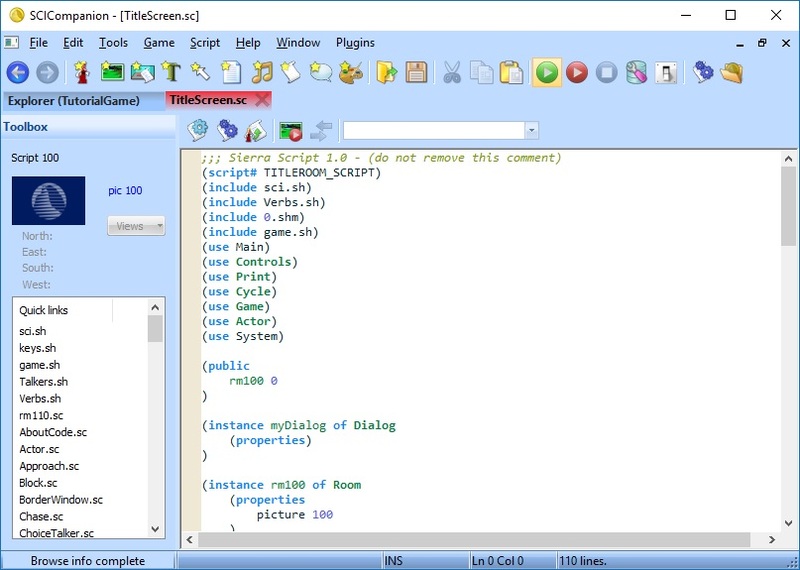 A window will open up giving you the ability to Name your game, select a location to store your game, as well as select the version of game to create, and lastly the syntax of the game's scripts. This set of tutorials is aimed at teaching you how to create an SCI1.1 game. And even though I am not very comfortable with the Sierra syntax yet but I guess it gives us a chance to learn it together. If you intend to follow along, then you will need to also. Other than that, you can name your game whatever you want and save it wherever you want to on your computer. One thing to note, make sure you add a new folder in to the location you browsed to if you did not already create a new folder specifically. Otherwise you may end up with a lot of files somewhere you didn't expect them to be. Finally, click "OK" and your game will be generated from the built SCI1.1 template. Once the game has been generated, sciCompanion will open directly into script 100, the title screen script, in the Script Editor tool. For now, we can go ahead and leave it open. We will be making a couple of small alterations to it in the next chapter. At this point, we are ready to test out our new game. Click on the Play Game button found in sciCompanion to launch the game. The game should launch in dosbox automatically which comes prepackaged with sciCompanion. Select on "Play a New Game" from the title screen and voila, there is your controllable character moving around your clean slate of a game. Now all that is left is to fill it full of actual game. Let's begin that by modifying The Basic Title Screen in the next chapter.